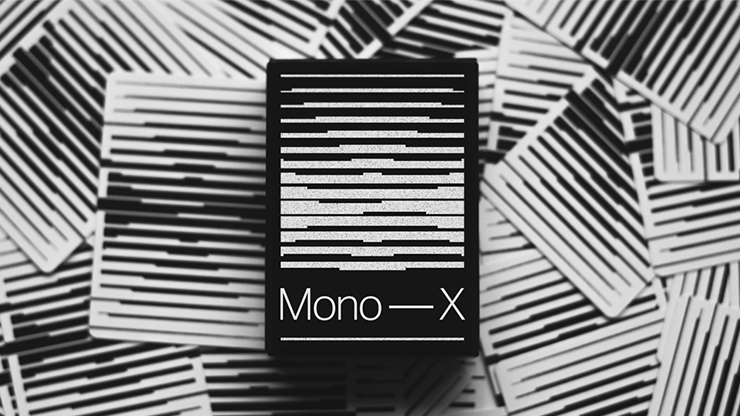 Mono - X Playing Cards by Luke Wadey. 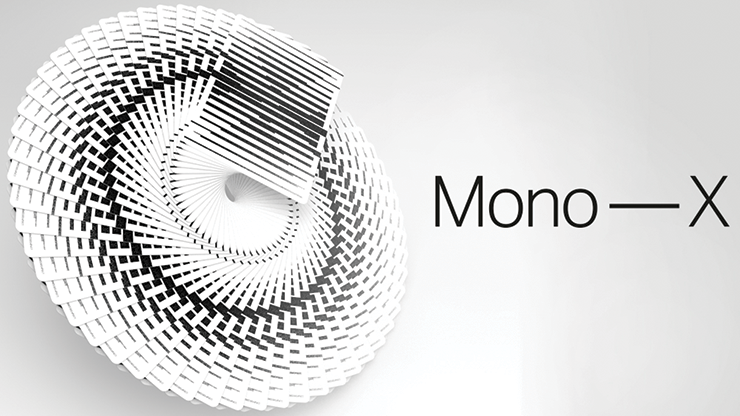 Embrace the concept of monochrome. 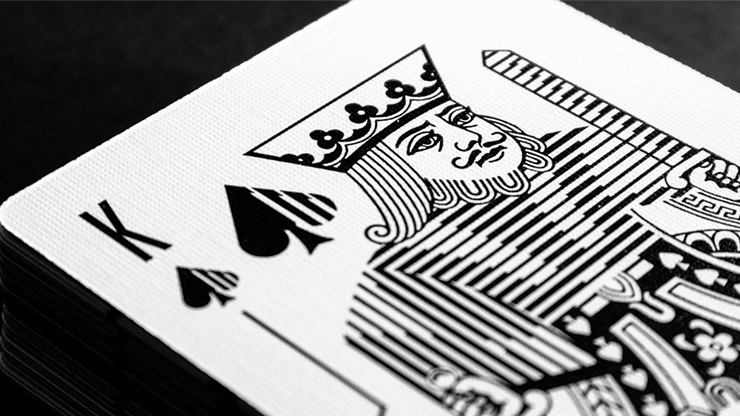 This is the first deck in Luke's newest collection, exploring the use of a single color palette and combining patterns and gradients to achieve a beautifully refined and unique deck of cards. 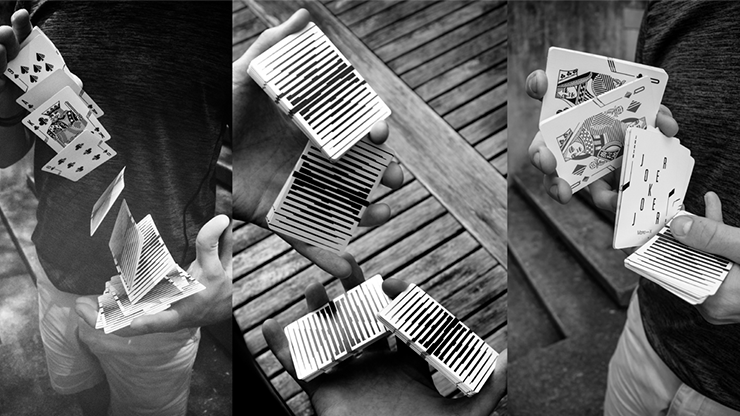 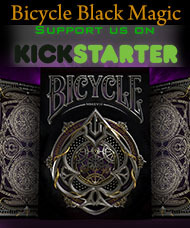 Mono - X has a 2-way back design teamed with side details on the card faces to allow for cardists to flourish and magicians to excel in their routines. 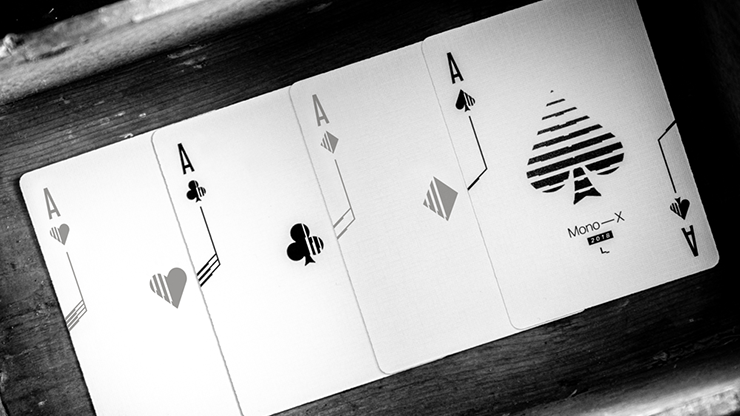 The deck uses a variation in line thicknesses and gradients to establish a bold theme carried through from the distinctive card back where an X is created, all the way through the custom pips and court cards. 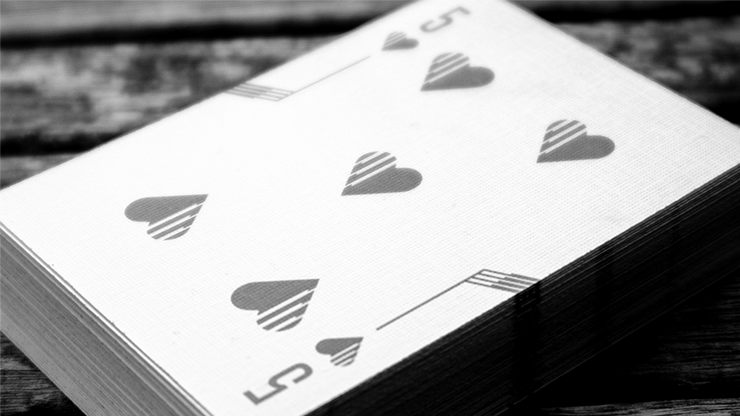 The deck uses a black and white theme throughout, with the red suits being replaced by a light grey.